On May 10 I went to check out the Berlioz concert at the Hong Kong Cultural Centre since I was eager to hear what Hong Kong Choirs had to offer. The Hong Kong Bach Choir was performing with the Sacred Singers and Macao Voices along with the Hong Kong Bach Orchestra. The programme consisted of Debussy's Prelude a l'Apres-midi d'un faune, which was an orchestral piece, as well as Scene d'amour from Romeo and Juilet, which with orchestra and choir, and the concert ended with Messe Solennelle with choir, orchestra and soloists. These were all composed by Hector Berlioz. I know that the Hong Kong Bach Choir (there were 2 other groups singing with them as well but I will just address them all as the Hong Kong Bach Choir to keep things simple) is an amateur choir. Therefore, they are not paid singers and they are most likely professionals working in domains that may or may not be related to music. However, I do not believe being amateur gives a choir an excuse to sing poorly. I have heard enough prestige amateur choirs to know what they are capable of. 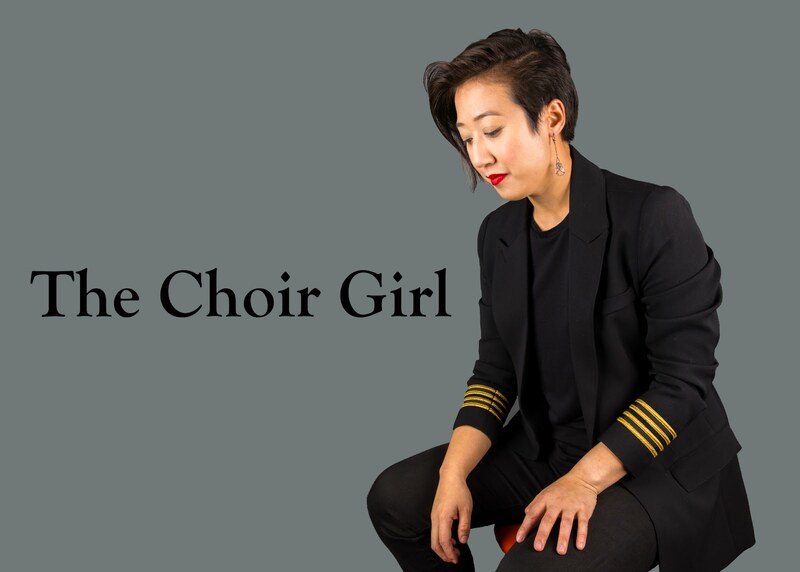 There are many components that go into producing an excellent amateur choir such as having an inspirational and meticulous conductor as well as dedicated singers. There are good singers everywhere...you just have to find them. When my conductor, Heather, first began her choir, all she was able to get were children from St. Albert. She molded them into excellent singers and it just shows that every community has singers waiting to be discovered and trained. Therefore, with the large population of Hong Kong, there are bound to be amazing choristers just waiting to be recruited. Of course, there are many factors that come into play with finding choristers in Hong Kong and I believe it is a cultural one. In a culture that highly prizes individual achievement, it seems that group activities like choir are often overlooked. The majority of Chinese children are introduced to piano or other instruments that they can play by themselves. Rarely do you have parents who enroll their children in singing programs. It appears that parents would rather choose solo piano, math tutoring and swimming as suitable extra-curricular activities over group activities. My friend, Rover, told me that in his HK Boy's School, Choir was mandatory for boys who performed well in music class. In that sense, Choir was no different than detention since you were forced to stay after school to rehearse. I think this is the worse way to foster choral love! While I understand that this is potentially the only way to get singers, forcing people to do something is usually the fastest way to get them to hate it. It seems that the HK education system is grappling to find a balance to foster musical education. The main problem I heard with the HK Bach Choir is that they were not given the tools to sing well. Of course, amateur choirs means that you will get singers with different levels of experience but it is the responsibility of the conductor to make sure that their choristers are equipped with the technique to meet the demands of the music. A few sessions of vocal training could have easily improved the HK Bach sopranos' flat musical entries. Choristers must learn what they are doing wrong and how to fix it. You cannot just keep giving them music without fixing pre-existing problems. Another way the HK Bach Choir could improve is by receiving clearer instructions from the conductor. It was rare to hear a clear cut-off during the concert since consonants were littered at the ends of all the phrases. It is important that the conductor demands more from the singers. Every choir is capable of giving a clear cut-off; however, you have to push them to do it. Once they learn how, it is something that will be more automatic as they continue to sing. It does not matter how many singers there are and the U of A Mixed Chorus is a perfect example of this. There are over 150 singers but Bob De Frece's clear conducting means that their cut-offs are always clean. Fixing small things like diction alignment exponentially increases the quality of a choir. Overall, it does not make sense for me to nitpick the quality of the HK Bach Choir's performance since I don't want to get lost in the detail about how they performed poorly. There are many obstacles they face since Chinese culture does not foster the development of choristers, and it seems that their conductor, Jerome Hoberman, does not provide the vocal training to increase his choristers' individual singing potential. In addition, he does not demand enough from his singers. Nothing ever changes without pressure. Conductors and singers must challenge themselves in order to improve. It is not so much a question of how good the HK Bach Choir is but how good they have the potential to be. With that concluding thought, I wish you all the best! I will be back in Edmonton soon recording with Belle Canto for our new c.d. so that should make for some interesting posts!